One of the most important figures of the 20th century India, a pilot, a poet, a singer, a taus-a dilruba player, philanthropist, pioneer, spiritual master – a mentor, and so much more, His Holiness Sri Satguru Jagjit Singh Ji Maharaj passed away on the evening of 13 Dec 2012. His contribution in the fields of social welfare, sports, music and agriculture (organic farmer since 1962..!) will inspire people for times to come. He was a master with a fascinating sense of humour. His politicking by orchestrating inter-caste marriages is one among his countless contributions. In 2012, the Sangeet Natak Akademi, New Delhi, honoured Satguru Jagjit Singh by inducting him as a prestigious Tagore Fellow of the Akademi for his contribution to Indian classical music and dance. A delegation from Sangeet Natak Akademi specially came to Sri Bhaini Sahib on the occasion of Vaisakhi 13 April 2013 to present the Tagore Ratna to Sri Mata Chand Kaur Ji in the holy presence of Sri Satguru Uday Singh Ji. It is frightening indeed to see the scenic panorama of a valley with mountains so wonderful – so unassailable, loose them one by one. A day dawns and you find them all gone..! Just the barren, just the stricken. 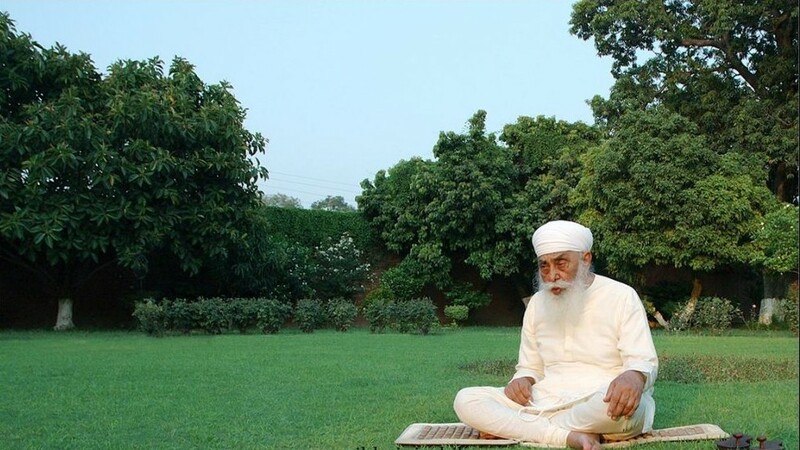 Hopefully, spring will arrive soon – a vale wondrous – so bounteous will arise again… That will be a tribute to the likes of the one, Sri Satguru Jagjit Singh Ji, who departed after one fine contribution. His Holiness Sri Satguru Jagjit Singh Ji was born on 22nd November, 1920 at Sri Bhaini Sahib to Mata Bhupinder Kaur Ji & Sri Satguru Partap Singh Ji. He studied multi languages, religious scriptures, gurmat maryada & classical music among others in the ‘Gurukul’ of Sri Bhaini Sahib. He was married to Mata Chand Kaur Ji. After Sri Satguru Partap Singh Ji left for his heavenly abode on 22nd August 1959, he became the spiritual head of Namdhari Sikhs. He propagated the traditions of Sikhism to Sikhs around the world. “Naam japo, kirat karo & Vand Chako” i.e. meditating on the ‘Name of the God’, earn an honest living and contributing & sharing part of your earnings for the betterment of the less fortunate is the basic concept of Sikhism. He emphasized on practice of ablution & purification and inspired everyone to lead a puritan life. He stressed that everyone should meditate with Naam-simran for at least one hour a day & recite one complete paath (reading) of Sri Guru Granth Sahib or Sri Dasam Granth Sahib once in a month by each family. This, He said, will bring peace, prosperity & happiness. He propagated the work and message of Sri Satguru Ram Singh Ji in both political and social circles. During his time, 125,000 paths of’ Sri Guru Granth Sahib Ji’ were performed thrice – in 1961, 1974 and 1997. Similarly, 125000 ‘Havana’ of ‘Chandi De Vaar’(a composition of Sri Guru Gobind Singh Ji) was also performed three times. His patronage to music and arts is unparalleled as well. Traditional classical music has played a significant role in attaining heights of spiritualism. All the great Gurus have composed hymns called ‘Gurbani Shabad’ in ragas only. Satguru Jagjit Singh ji carried this tradition of music vigorously. Satguru Ji was recipient of many awards and in 2012 the Sangeet Natak Akademi, New Delhi, honoured Satguru Jagjit Singh by inducting him as a prestigious Tagore Fellow of the Akademi for his contribution to Indian classical music and dance. He studied from the wise Ustad Harnam Singh of Village Chawinda, also a relative of his. Ustad was the youngest classmate, Bhai Sahib Bhai Jwala Singh of Thatha Tibba. They had both studied from the legendary Baba Vasawa Singh of Darbar Sahib, Amritsar, also known as Baba Rangi Ram. His financial support and aide to some of the greatest 20th century names of Indian Classical music is well known – name them, Ustad-s Vilayat Khan, Piara Singh, Amjad Ali Khan, Alla Rakha, Pandit-s Krishan Maharaj, Birju Maharaj, Rajan-Sajan Misra, as well as mentoring so many talented musicians from among the Namdhari community including Ustad-s Harbhajan Singh and Gurdev Singh, Raagis Sukhdev Singh – Mohan Singh duo, Balwant Singh, Harbans Singh Ghulla, Sukhvinder Singh Pinky, Baljit Singh Namdhari, Kiranpal Singh —the list is beyond count. He wanted every Namdhari family to have a musical fragrance. Sri Satguru Jagjit Singh Ji was fully aware of the fact that due to boycott of British schools & colleges for 90 years from 1857 to 1947, the literacy rate in Namdhari Sikhs was low. It was his keen interest that all the Namdhari Sikhs must get the best of education. He established schools in Sri Bhaini Sahib, Delhi, Sri Jiwan Nagar, Mandi & Bangkok. A college was also established in Sri Jiwan Nagar.He inspired the youngsters to learn Indian classical music from the world renowned musicians. He established Namdhari Kala Kendra at Sri Bhaini Sahib to promote vocal as well as instrumental music. Musical samellans (conferences) were organized in India & abroad to promote Indian art and attract people to learn it. Sri Satguru Jagjit Singh ji conceived the idea of organizing the “Namdhari Vidhyak Jatha” a Namdhari Boys youth organisation in 1962 and later on for girls too. The basic idea was to inspire the youth to actively participate in various social, religious, cultural and political activities of the nation. Presently, this organization has more than 50 branches in India, Thailand U.K.,USA and Africa. The organization has played an important role in the development of Namdhari youth and awakening a feeling of self respect, religiousness, patriotism & universal brotherhood. Namdhari Hockey team needs no introduction. Number of players of this team have represented India at international level. The present captain of Indian hockey team Sardar Singh is also a product of this venture. This team was created & sponsored solely by Sri Satguru Jagjit Singh Ji. His holiness had keen interest in the development of Punjabi language, Punjabi art, culture & history. Around 200 books were published during his period. He emphasized that thorough research is required on Sri Satguru Ram Singh Ji & Namdhari Sikhs and their contribution in the freedom & development of India. The government has established ‘Satguru Ram Singh Chair’ in Guru Nanak Dev University, Amritsar & Central University in Bathinda, and another chair is running in “Smapurananand Sanskrit Vishwa Vidyala” Varanasi. Under the patronage of His Holiness, the ‘Kuka Martyrs Memorial Trust’ was formed to acquire & develop all historical places associated with the Namdhari movement. As a mark of respect & recognition of the supreme sacrifices of Namdhari Sikhs during freedom movement, memorials are under constructions at Amritsar, Raikot, Ludhiana & Malerkotla in 1871 & 1872. The Birth place of Sri Satguru Ram Singh Ji at village Rayian has been acquired & preserved as historical monument. All historical places in Sri Bhaini Sahib have been reconstructed by retaining their original look. Satguru Jagjit Singh Ji was a great philanthropist. He made special arrangement for free treatment of patient in various hospitals in Ludhiana & other places. Later on, the Satguru Partap Singh Apollo Hospital in Ludhiana was established. He was benevolent enough to provide homes to hundreds of homeless. A ‘Old age care centre’ was established in Sri Bhaini Sahib where old age persons who have nobody to look after them are being fully taken care in all respect. 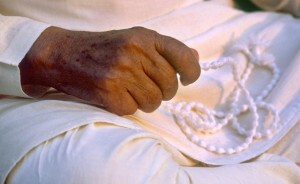 His Holiness accorded due respect to all religions and social organizations working for the causes of humanity. While helping them, he never made any distinction of caste, creed, colour and political affiliation. 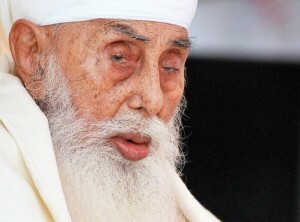 Sri Satguru Jagjit Singh Ji left for his heavenly abode on 13th December 2012. He remained the guiding spirit for the millions of people around the world for 53 years, 3 months & 23 days. The nation has lost a great spiritual soul, thinker, seer & philanthropist. But he will remain a source of enlightenment, encourage, patriotism & strength forever.